Perera Hussein Books on the Dublin IMPAC longlist! 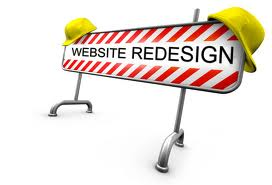 Our website is being re-designed! In two weeks we have been promised a brand spanking new attractive and appealing website! Our web address will change as well. Till then we thank you for your patience and will let you know when the new site will be launched. I went in with my eyes wide open, knowing the subject would be dark, unaware of the treatment of it by this woman with a dazzling smile who asked me to review it within an hour of meeting her. Growing up in India, some latitudes north of the Sri Lankan civil war, meant it had remotely touched me as a child and teenager through political rhetoric, waves of radiated human anguish and the assassination of a Prime Minister, but beyond that, I was a clean slate. What I was unprepared for, was how much Nayomi Munaweera’s labour of love would demand from me as a human bystander, make me invest in the lives of its characters and their teardrop-shaped country, draw me in and make me stay, in spite of the savagery around me. There are novels you breeze through, nod “Good read”, and move on. Pick up Island of a Thousand Mirrors only if you’re willing to carry it within you for life. Crafted in present tense and delightfully crisp sentences, one is busy falling in love with the emerald isle and the language used to sketch it, pretending nothing untoward will ever happen on this idyll where Munaweera’s father grew up. But that is the curse of history and hindsight: we’re forced to look back over our shoulder and bear witness to its horrors. In the creation of drama, several authors rely on words of deafening thunder and grandiose landscapes of pain. Nayomi Munaweera makes you do the work, as her sentences play supporting roles in a beguilingly simple manner: her descriptions exquisitely gut-wrenching, her voice matter-of-fact, she draws out your blood, your angst, your despair at being human, like a literary shaman. This searing debut, so beautiful it hurts, is pyrotechnics and poetry. Award-worthy, absolutely, but ultimately, so deeply enriching that you’ll be infinitely poorer for giving it a miss.